An exuberant and erudite exploration of the meaning of wilderness and its place in our lives. 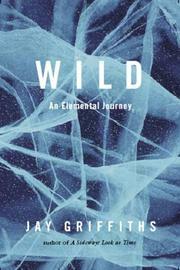 Griffiths (A Sideways Look at Time, not reviewed) traveled over seven years to some of the world’s wildest and most remote places seeking to understand how wildness expresses itself. She has categorized her journeys by the four elements—earth, water, fire and air—adding a fifth, ice, and concluding with a trip into the recesses of the human mind. The first chapter, “Wild Earth,” is an expedition into the Amazon basin, where she becomes immersed not just in the physical wildness of nature but in the culture of the indigenous people. When shamans introduce her to the hallucinogenic drink ayahuasca, she feels herself being transformed into a jaguar, an experience she describes vividly. The next, “Wild Ice,” takes her to Ellesmere Island in the Canadian Arctic, where she lives among the Inuit and bears witness to the beauty of the land and the destruction by white newcomers of the native culture. In “Wild Water,” she learns about the wildness of the ocean and the creatures in it from the Bajo people of Indonesia, sea gypsies who live on a small island off Sulawesi. The hot, dry Australian outback is the setting for “Wild Fire.” There she lives among the Aboriginal people, comparing their spiritual understanding of the desert with the less felicitous attitudes of the white settlers. The highlands of West Papua are the setting for “Wild Air,” and there she is again traveling with native guides through exceedingly rough country and climbing high mountains. In Griffiths’s eyes, indigenous people are blessed with a wisdom and spirituality that the rest of us, herself excluded, just don’t get; a persistent theme is the harm done to the native people and their environment by intruding whites, especially Christian missionaries. Griffith’s love for words and her skill in using them, her easy familiarity with a host of poets, novelists, naturalists and anthropologists, her openness to new experiences and her willingness to reveal so much of herself, make this a fascinating journey.